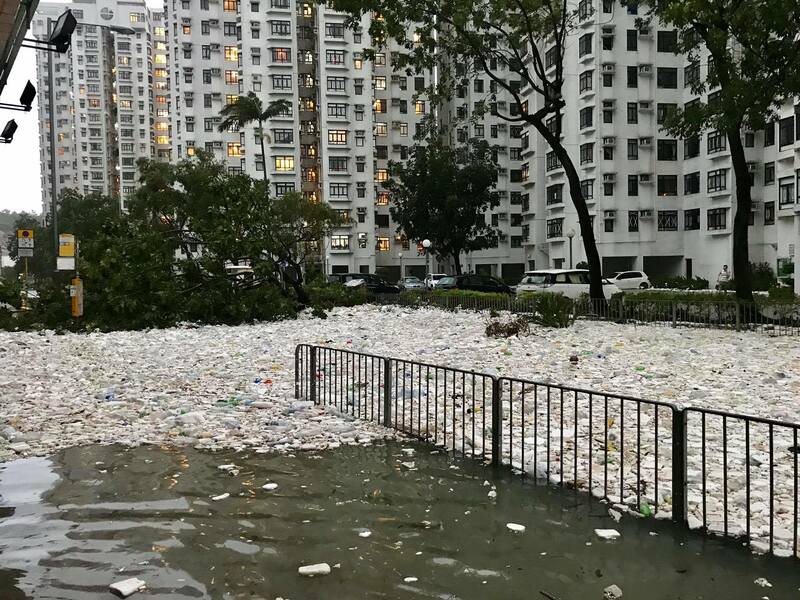 The super strong Typhoon Mangkhut is causing serious damage to Hong Kong, and there are some areas that are even saturated with the trash of the storm on land, including a large amount of foam, plastic bottles, etc. 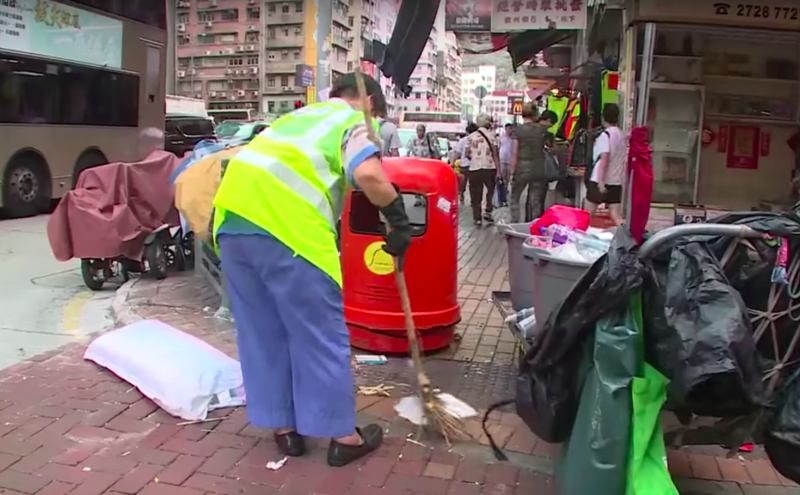 The City of Hong Kong belongs to each and every one of us, and the garbage is made of everyone, and everyone has a duty to help restore the market clean. Looking back, a number of typhoons attacked Hong Kong September last year, the cleaners was first responsible for the rehabilitation. Their workload was greatly increased, such as cleaning the fallen objects from buildings. Yet they are receiving the minimum wage only, without compenstation for extra workload. In addition, the basic equipment of the cleaner, such as gloves, masks, raincoat, are severely insufficient. Some even use garbage bag as a raincoat. Cleaners have to risk injury or purchase equipment for work out of their own money. This time, the power of Typhoon Mangkhut is stronger, causing more severe damage, giving cleaners intense pressure. 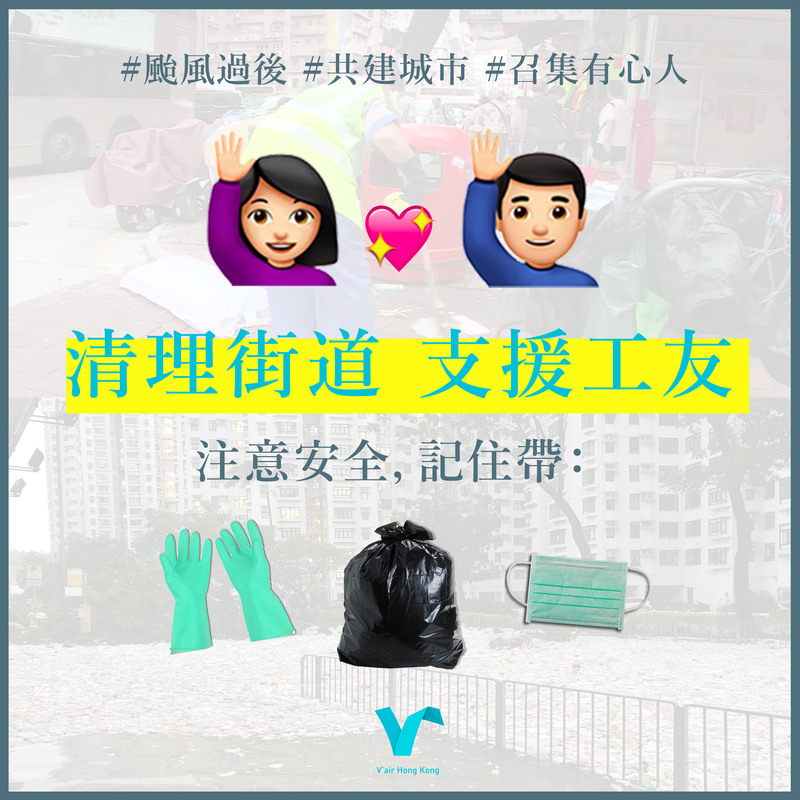 So, if you have plastic gloves, masks, raincoat, and so on, you can send the cleaners near the house to protect their labour rights. When Tyhpoon Hato hit macau last year, the streets were riddled with garbage and devastated. Many residents intiated to clean up the streets, and everyone has worked together to restore the cleanliness of Macau. We believe the people of Hong Kong can collaborate together and contribute to relieve the huge workload of cleaners, and restore order in our city after this mega disaster. // Street cleaner Lin has to work during the typhoon, but the outsourcing contractor only offers a pair of rubber gloves, water shoes and raincoat, so she just cut a plastic bag into a raincoat. She pointed to the increase in the workload of the typhoon, fortunately getting help by friends.